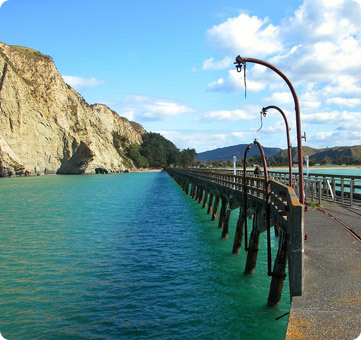 We are situated right on the beach at the base of Mount Titirangi, at the start of the historic Cooks Cove Walkway and right beside Tolaga Bay's historic wharf, the longest of its type in the southern hemisphere at 660m. We have a fantastic sandy beach right in front of the park, safe for all types of water activities - or for just relaxing and enjoying the views. 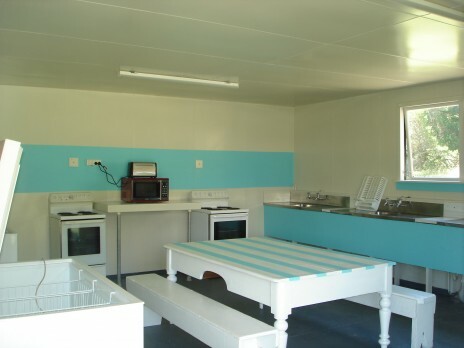 We have a range of facilities including kayak hire, BBQs, covered outdoor dining area, playground, boat tractor and laundry. There is great fishing for the whole family from the wharf and we have fish filleting and cleaning benches. Over the peak period we have a small shop with drinks, snacks, ice creams, bread, milk and other essential items. Kei aku nui, kei aku wehi kei aku rangatira, tènà koutou i tènei kaupapa. Kàti, haramai ki a Tìtìrangi maunga, ki Ùawanui a Ruamatua e rere nei, ki a Te Aitanga a Hauiti e mihi atu nei ki te iwi whànui i runga i te ahuatanga o nga mana kaitiaki o te wai, o te whenua, otira o te tangata tonu, tihei mauri ora! Local couple, Liz and Dion have been managing the park since July 2016. They have a wealth of knowledge about Tolaga Bay and the surrounding areas and will be happy to provide advice on local attractions. 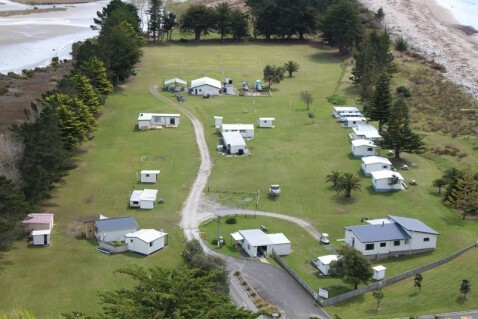 This Holiday Park is proudly owned and operated by Hauiti Incorporation. Hauiti Incorporation is owned and operated by Maori, with today’s owners being direct descendants of their tipuna (ancestors) who welcomed Captain Cook in 1769. 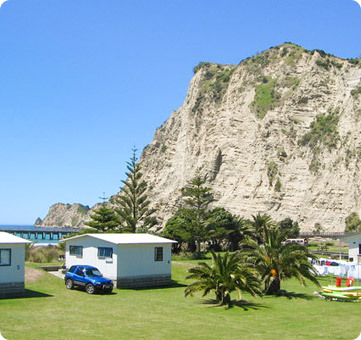 The historic Cooks Cove, the amazing Hole in the Wall and the popular Cooks Cove walkway are all located on Hauiti land. The significant mountain to the south east of this Holiday Park is our maunga (mountain) called Titirangi (pronounced “Teterangi”). Hauiti has 14 kilometres of coastline which includes both a Seal and a Gannet colony.